The access to data is growing exponentially—get the tools you need to take advantage of unstructured data. Companies are racing to adopt to new technologies that provide deeper learning about their people to aggregate and analyze data in real-time. 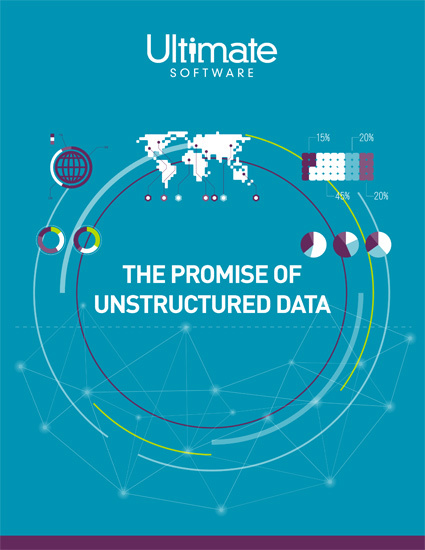 The volume of unstructured data is growing exponentially, and is expected to continue to grow. What most companies don’t realize is that the answers they’re looking for are hidden in this data. Recent advances in machine learning and natural language processing are propelling us into a new era of employee insights by unlocking unstructured data. Using open-ended questions enables us to interpret emotions and themes like never before. UltiPro Perception® empowers you to gather data in real-time to gain visibility into what your employees are thinking. Access our guide and discover how all open-ended text can now be turned into measurable signals that turbocharge workforce analytics.